In an infamous incident yesterday seven pilgrims were killed in the Amarnath terror attack abode a bus carrying 56 passengers to the holy pilgrimage. Clearly the entire nation is shocked, saddened and furiously angry. Our Bollywood has been left bereft with this sad news and members of the fraternity took to their official twitter handles to express grief over the heinous news. 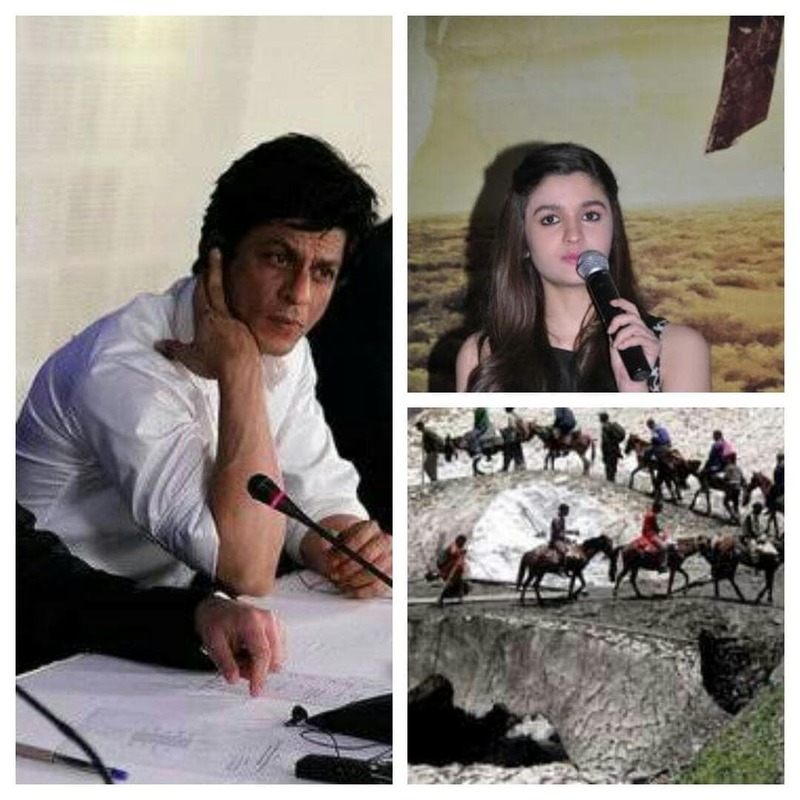 From Shah Rukh Khan to Varun Dhawan, many Bollywood celebrities reacted on twitter to the Amarnath terror attack. King of Bollywood, Shah Rukh Khan, expressed his sadness on Twitter and captioned it- "Saddening to see innocent lives being taken. Prayers for the victims & may God give strength to the families of the #AmarnathYatra pilgrims"
'Badrinath ki Dulhania' actress, Alia Bhatt, tweeted- "Shocked by the #AmarnathTerrorAttack!!!! Thoughts and prayers for the families who have to deal with this monstrous act! It just terrible!" Shocked by the #AmarnathTerrorAttack!!!! Thoughts and prayers for the families who have to deal with this monstrous act! It just terrible! Alia Bhatt also retweeted journalist Barkha Dutt’s tweet that read- "Terrorists who attacked #AmarnathYatra want to destroy Kashmir but also want to start communal riots & disorder in India. Defeat them"
Varun Dhawan called the terrorist coward- "Totally shocked and disturbed with the news about the #AmarnathYatra. Don't understand how can such people exist. Terrorist are cowards"
is a low of another level! Angry and sad...prayers for all those affected"
'Tanu Weds Manu' actress, Swara Bhaskar, called the attack barbaric and unjustified- "SHAME on this heinous act of terror & crime! U r monsters!! Inhuman barbaric unjustifiable!! #AmarnathTerrorAttack"
Diana Penty called the Amarnath terror attack as shameful and cowardly- "Taking the lives of innocent pilgrims in the name of religion is senseless, shameful and cowardly. Prayers for all"
Director Mahesh Bhatt, sensibly tweeted- "A tragic night! Time for the nation to stand together and defeat the sinister designs of the terrorists to divide us"
Huma Qureshi spoke of unity and Hindu-Muslim brotherhood- "For years Kashmiri Muslims have helped Hindu brothers undertake #AmarnathYatra.Shame on terrorists. We will not let hate win#UnitedWeStand"
Urvashi Rautela captioned her tweet- "Tragic night. 1st Monday of the auspicious month of Sharavan and this attack on the devotees of Lord Shiva"